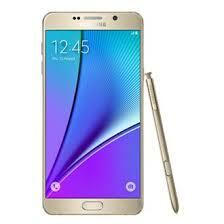 Samsung Galaxy Note5 (SM-N920) all models latest firmware direct download link for free you can download all of the models of the Note5 latest version on just one click. If you,r Phone is Power ON and you just want to update your phone through WIFI downloading updates on your phone form setting then about device then tip on software update then your phone will check it,s latest update.The SM-N920 update OTA package size is about 1.6GB - 1.8GB if you have good wifi connection then you can easily download it from its official site. How to flash Samsung Galaxy Note 5 with Odin? Then select one from all the files where you extract the zip file like BL, AP, CP, and SCS or if you have one file pack then put that file on AP. so you have flash you Samsung SM-N910G. That firmware update is only for only for Samsung Galaxy Note 5 (SM-N920c,t,w,,n) for all models we give you spirit download links don't try to install that firmware on other models of Samsung Android devices that can destroy your phone.